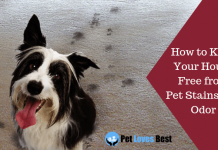 It is a proven fact that Pets immensely improve your mood, temperament and also health. Keeping pets can help people recover from various diseases such as Depression. 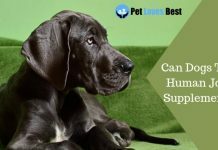 Pets may work as Anti-Depressants in an owner’s life. So, consider it as a blessing if you have a pet. But housing pets may prove to be disturbing our budgets. 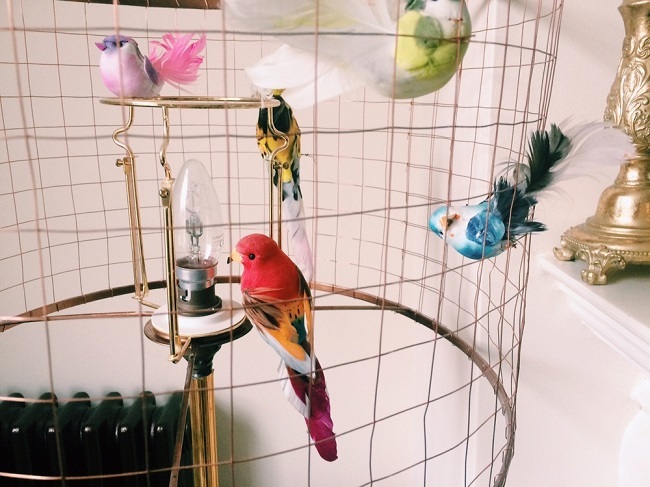 So there is a cheap way of building a birdcage – from a scratch at home. 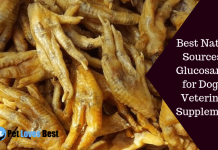 Therefore after analyzing the above-mentioned aspects, you may start building a Bird Cage of your own accordingly. In addition to the above-mentioned materials, you’ll also require various tools for measurements, cutting, slicing and marking purpose. 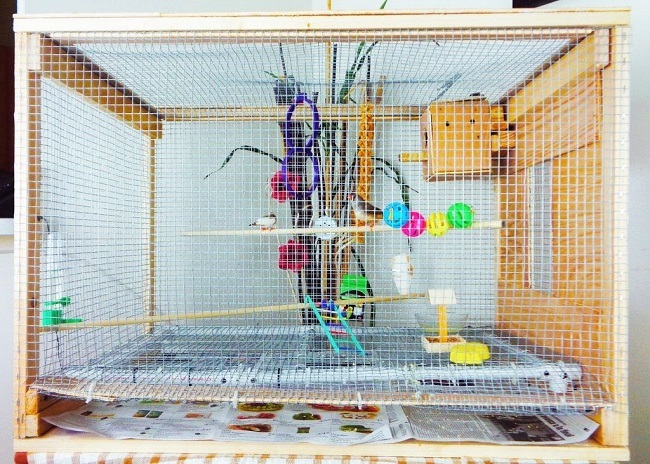 Once you are done collecting all of the required materials to build a beautiful cage you can start following the below-mentioned steps and make your pet bird a house it would feel comfortable to live in. Cut the lumber using a saw so that it makes a vertical post for the cage. Cut a 1×2 lumber using saw from both the sides. These would make the two sides of the cage. Take two 1×2 lumber. Cut one lumber from the front-end and the other one from the back-end. These would be the front and the back end gates of the cage. For the rood and the floor cut the plywood from top-end and then from the bottom-end. Finally, with the help of wood screws assemble all the panels. So you’ll end up getting two large panels for the front and the back. You’ll also have four square frames for the sides. Take a Metal Caged Wire and cut it big enough in order to cover the frames. Use a staple gun, so as to staple the wire to the wood frame which will become the inside of the panels. 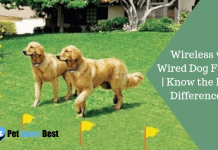 To prevent things from getting caught, trace the edges of the wire with silicon. First of all attach the front panels to the posts, so that the edges are flush, using the decking screws. Now attach one side panel on each side, one flush with the top and one flush with the bottom. Now set the remaining two side panels aside so that they’ll become the doors. Using the screws attach the top and the bottom panels to the post. Place two hinges on each side and attach the remaining two panels, one half attached to the door, the other half attached to the centerpiece on the other side panel. 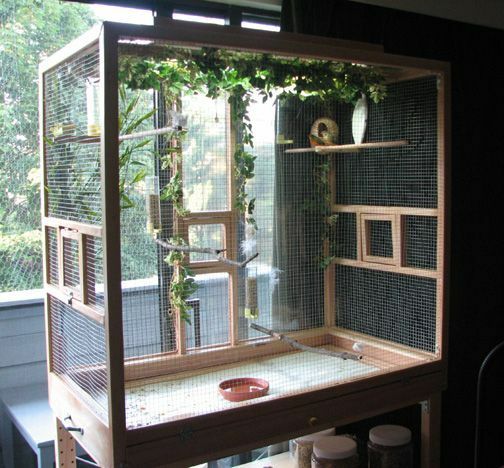 Therefore you’ll have a cage door on either side: one on top from where you can add food and also interact with the birds while the other at the bottom for the purpose of cleaning. You can also place lining material. This is an important thing to fix in a cage. Either mount the food trays or place them inside the cage, whichever suits you. Place the food tray and the water bowl so that you and your pet bird are both comfortable with it. Watch out for the size of the food tray and water bowl. Perches are the most important aspect of a birdcage. So, make sure you have them on varying heights within the cage. Furthermore, you can add few good toys for your cages like Mirror, Ladders, and Bells. You may also consider attaching caster wheels to your post if you desire. Follow the above-mentioned steps and you’ll be able to build a dream cage for your loving bird. Seems like you are about to get a beautiful house for your Pet Bird. Still in doubt. Use our References. This cage has been decorated with loads of things with an intention to keep the loving flying creatures always excited. 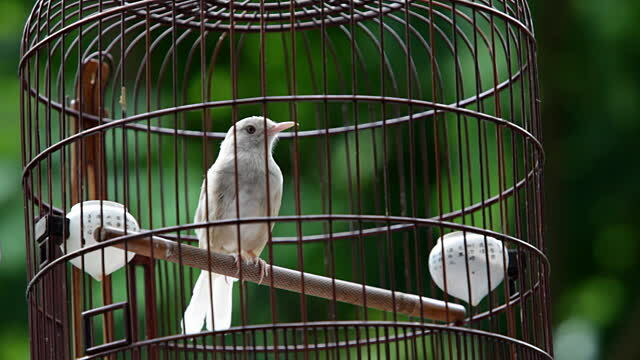 Various small toys have been inserted in this cage which would allow the bird to play cheerfully all the time. This cage has been decorated with leaves which would help keep your bird always energetic. 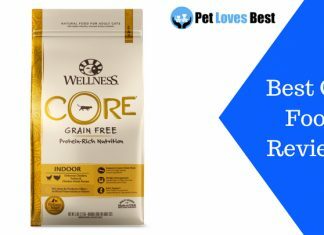 Also, this one has been provided with two sides from where you can feed your loving birds so that it would be easy for you and also for your flying pet. This one is a simple cage that can house multiple birds which allows them to spend their time accompanying each other and having fun. It is always exciting to have multiple birds as a pet instead of just the one. Nevertheless, it is always a great feeling building a house for our Pets. Pour as much Love as you can. 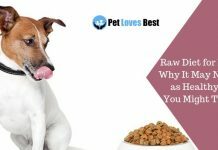 Previous articleHealthy Homemade Dog Food Recipes – Easy, Balanced & Delicious! 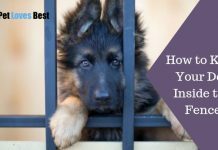 Next articleIndoors or Outdoors – Where Should You Keep Your Dog?